Weiliam Chen has 20 years of research experience in both university-based research centers and associated private research groups. He previously held academic appointments at the University of Michigan Medical School, University of Pennsylvania School of Medicine/Children’s Hospital of Philadelphia, SUNY-Stony Brook Department of Biomedical Engineering, and New York University School of Medicine. 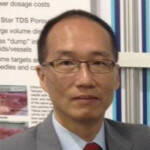 In addition to co-founding Endomedix, Inc., Dr. Chen is a co-founder of Sustained Nano Systems, LLC, a firm using nanovector and microvector components to enhance drug delivery. Dr. Chen is the Principal Investigator for the 8 NIH-funded SBIR grants awarded to date to Endomedix, with a total value of $2.8 million. Dr. Chen also serves on many national and international grant review panels including the National Institutes of Health, the Department of Defense, the Science Foundation of Ireland, UK Medical Research Council, Israel Science foundation, and Portugal Fundação para a Ciência e a Tecnologia. Dr. Chen earned a BS in Pharmacy from the University of Wisconsin-Madison, a MS and a PH.D in Pharmaceutics from the University of Michigan-Ann Arbor, and held a post-doctoral fellowship in pediatric cardiology at the University of Michigan Medical Center.